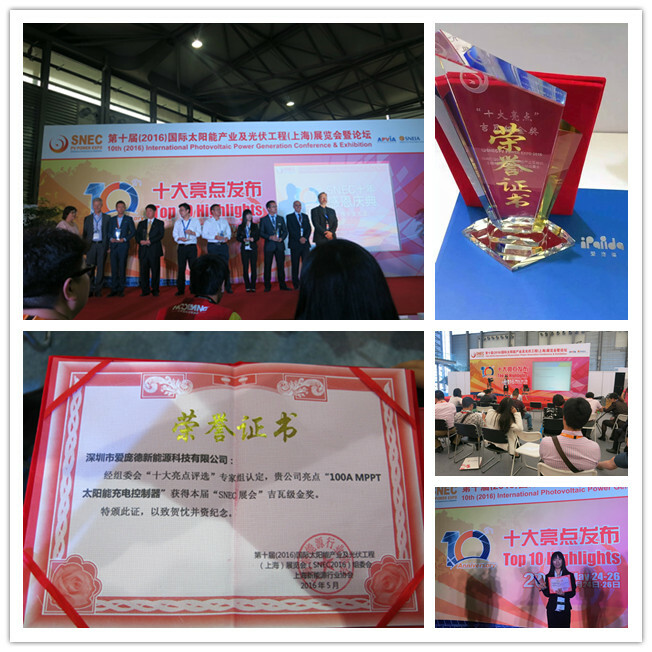 1.It has an efficient MPPT algorithm, MPPT efficiency ≥99.5%，and converter efficiency up to 98%. 2.Charge mode: three stages (constant current, constant voltage, floating charge), it prolongs service life of the batteries. 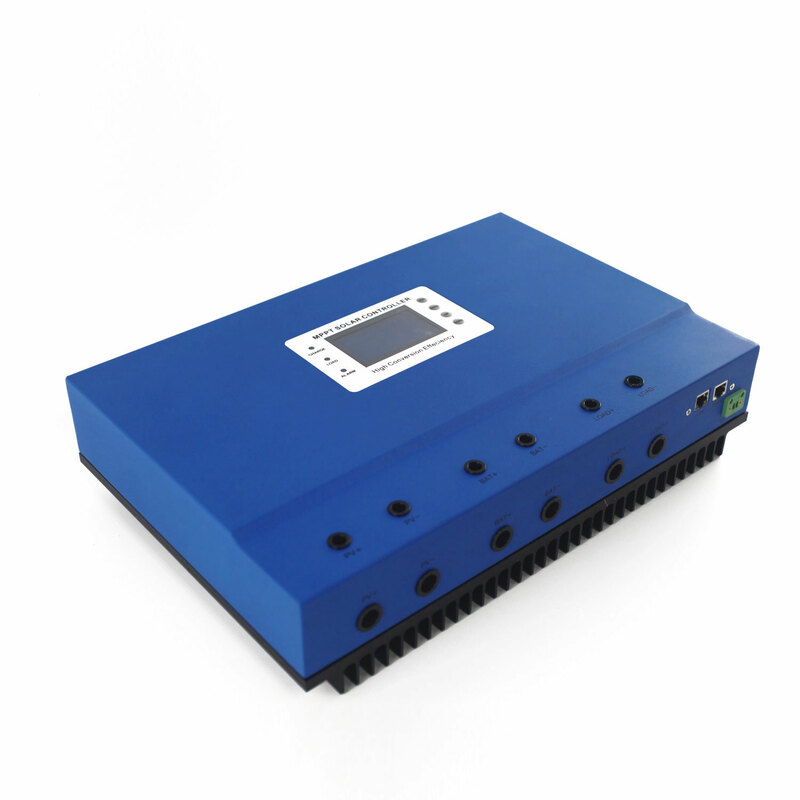 3.Four types of load mode selection: ON/OFF, PV voltage control, Dual Time control, PV+Time control . 4.Battery system voltage automatic recognition. 5.Three kinds of commonly used lead-acid battery (Seal\Gel\Flooded) parameter settings fcan be selected by the user, and the user can also customize the parameters for other battery charging. 6.It has a current limiting charging function. When the power of PV is too large, the controller automatically keeps the charging power, and the charging current will not exceed the rated value. 7.Support multi - machine parallel to realize system power upgrade. 8.High definition LCD display function to check the device running data and working status, also can support modify the controller display parameter. 9.RS485 communication, we can offer communication protocol to convenient user’s integrated management and secondary development. 10.Support PC software monitoring and WiFi module to realize APP cloud monitoring. 11.CE, RoHS, FCC certifications approved, we can assist clients to pass various certifications. 12.3 years warranty, and 3~10 years extended warranty service also can be provided. 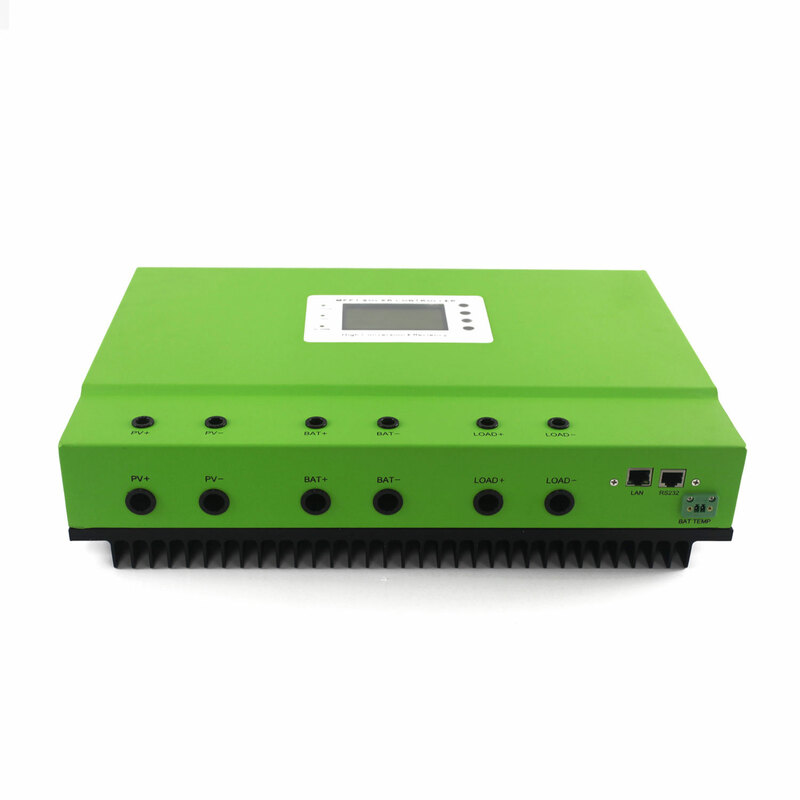 Other Parameters Protect function Input-output over \ under voltage protection, Prevention of connection reverse protection,battery shedding protection etc. 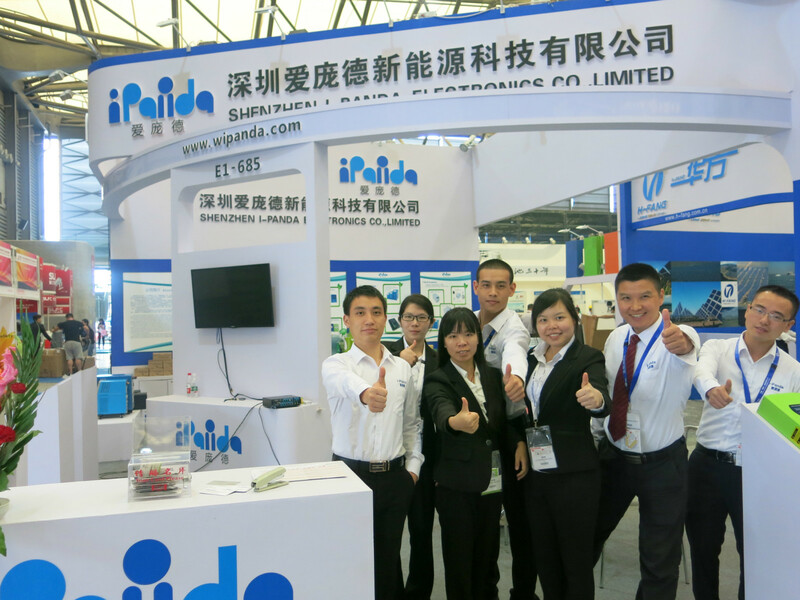 Send your inquiry to our good quality I-Panda off grid solar system 24v 100a solar charge controller products.